The Head contour paddles help develop specific muscles and improve a stroke technique while swimming. They have an ergonomic design of the blade that helps maximise training time by providing a better grip and less fatigue. The contoured shape of the paddles ensures a better feel through the water, whereas the adjustable silicone hand straps enable a more secure hold and make usage more comfortable. Small paddles are suitable for freestyle, backstroke, breast stroke, and butterfly. Medium paddles are suitable for freestyle, backstroke and breast stroke. 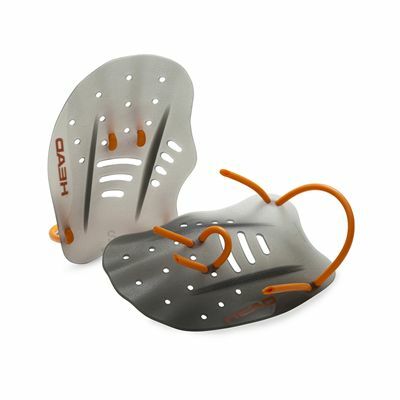 Large paddles are suitable for freestyle. for submitting product information about Head Contour Paddles We aim to answer all questions within 2-3 days. for submitting product information about Head Contour Paddles. We aim to answer all questions within 2-3 days. If you provided your name and email address, we will email you as soon as the answer is published. for submitting product review about Head Contour Paddles.